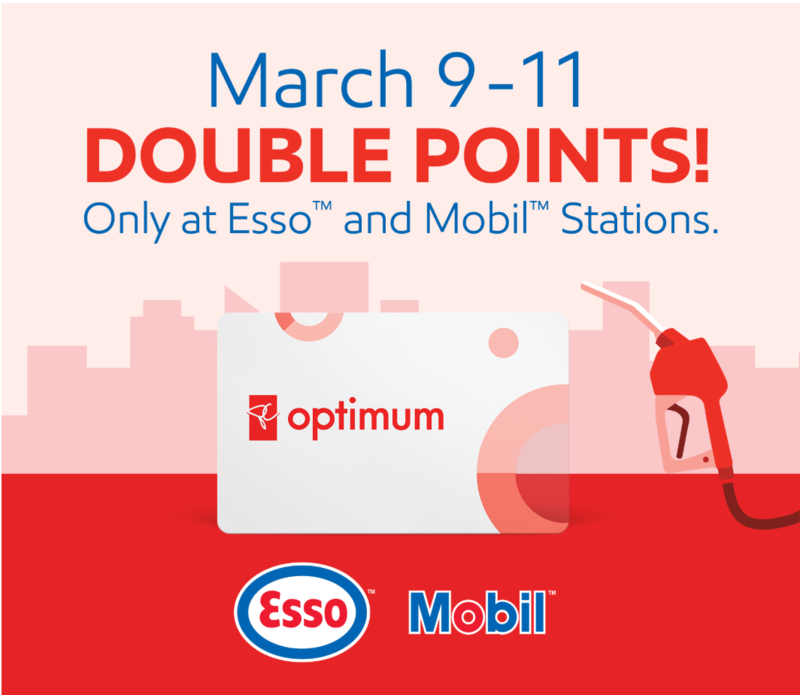 PC Optimum Shoppers Drug Mart Canada Promotion: Double Your Points Event at Esso and Mobil Stations! PC Optimum has a new promotion available now, where you can fuel up your car and pump up your points with the double your points event at Esso and Mobil stations! This offer is valid until March 11, 2019, at 11:59:59 pm. Click here to find Esso and Mobil Station near you. Click here to view Shoppers Drug Mart Canada Flyers.